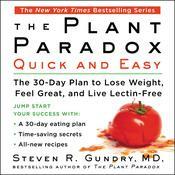 Steven R. Gundry, MD, FACS, FACC, is is the author of The Plant Paradox, The Plant Paradox Cookbook, and The Longevity Paradox. 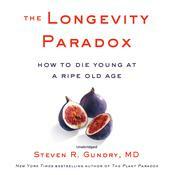 A former cardiac surgeon, he turned his attention to the role of diet and nutrition in human health. He is the director of the International Heart and Lung Institute in Palm Springs, California, and founder and director of the Center for Restorative Medicine in Palm Springs and Santa Barbara.